The ultimate in creative challenges, enter the Essex Jailbreak to raise money for your club! Plan ahead, beg borrow and blag to see if you can get the furthest. You have 15 hours to get as far as you can from HM Prison Chelmsford without spending any money. This event is open to the public for £15 per team and a 50/50 fundraising, split between Essex Boys & Girls Clubs and the team’s choice of charity. Affiliated club teams are FREE to enter. Any team fundraising for an affiliated club takes 100% of the fundraising for the club. 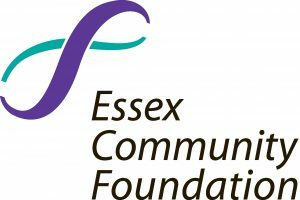 Essex Community Foundation is an independent charitable trust improving the quality of life of people in Essex by investing and distributing funds on behalf of a wide range of donors. Since 1996 they have invested over £20 million in grant funding to support the activities of the estimated 10,000 voluntary and community organisations working across Essex, Southend and Thurrock.. Grants are awarded from the many funds that they manage and range from £250 to £10,000 to support project and everyday costs, with larger grants made for developmental work. Applying for a grant with ECF is straightforward. In general they do not have deadlines so you can make an application at any time. However, some of their funds are open at particular times of the year so visit their website to find out more. With event ideas, case studies, templates and step-by-step guides, Let’s Get Fundraising! provides a one-stop-shop for all small fundraising groups. The Jack Petchey Achievement Award Scheme is the flagship programme of the Jack Petchey Foundation. The scheme is a reward and recognition initiative which enables schools and youth organisations to celebrate the achievements of their young people as well as receive additional funding .Almost 2,000 schools, colleges and youth organisations throughout London and Essex run the scheme, which contributes millions of pounds each year. Every year, The Big Lottery Fund distributes millions of pounds of the National Lottery’s good cause money to community groups and charitable projects around the UK. The fund awards grants from £300 to more than £500,000 to community and voluntary groups and charities.